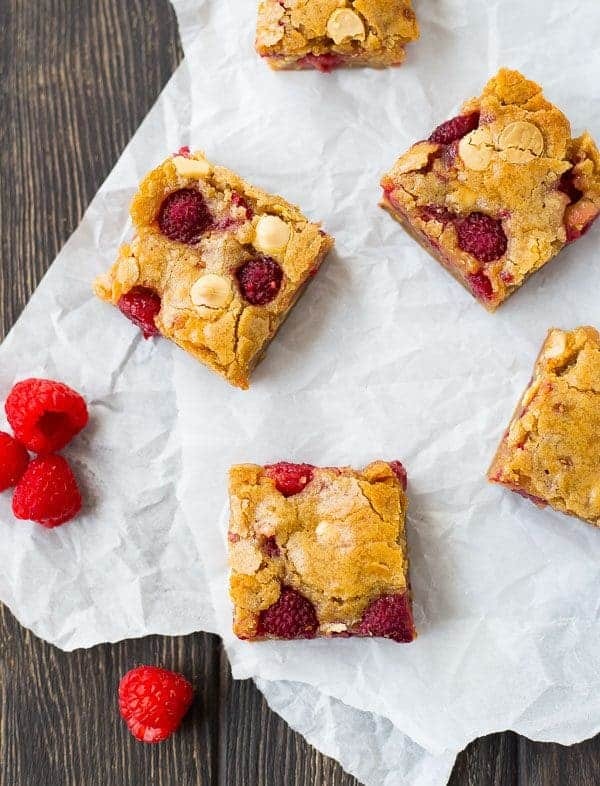 Ultra-moist raspberry white chocolate blondies are absolutely irresistible. You won’t believe how easy they are to make! It’s been awhile since I posted something sweet! I think it’s time, what do you think? And these are little sweeties. They’re a take on the chocolate chip blondies from Mary’s wonderful book. 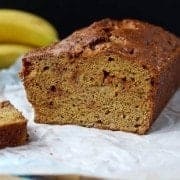 I adored the simple, no-fuss recipe. Butter, brown sugar, egg, vanilla, salt, and flour. Which I just typed as flower. Because I’m writing this at 9:30pm after the longest day. Praying the Lord gives me strength for the next 300+ words because y’all need this recipe. Thankfully I caught the error because you’d probably never come back if you thought I thought that flour was spelled flower. Shoot, I’d never come back. I’d turn in my apron and my laptop. 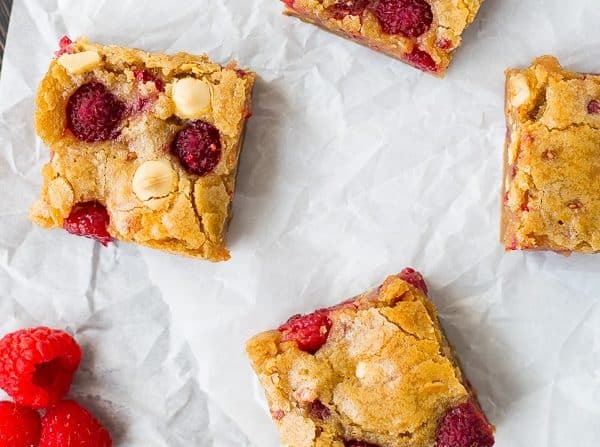 This recipe for white chocolate blondies uses fresh raspberries and white chocolate, obviously. It’s a great one for summer. 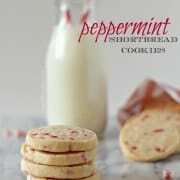 I made these AND the chocolate chip blondies for a dinner we hosted with family. They both disappeared quickly. These are ULTRA moist (yeah, I said moist, because they are) and full of fresh flavor from the raspberries. 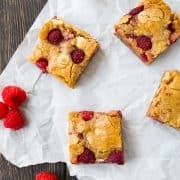 Since the raspberries add a lot of natural moisture, you’ll want to make sure they’re nice and dry after you wash them before you add them into the batter. Make sure to just try to get them as dry as possible. If you’re feeling energetic, you can even give them a gentle spin in a salad spinner. Other than that, this recipe is completely straightforward and oh so easy. You guys will adore it! Preheat oven to 350°F. Line an 8-inch square pan with parchment paper and spray lightly with nonstick cooking spray. In a large bowl, stir together butter and brown sugar until smooth. Add egg and vanilla and stir to combine. Stir in flour and salt, just until combined. 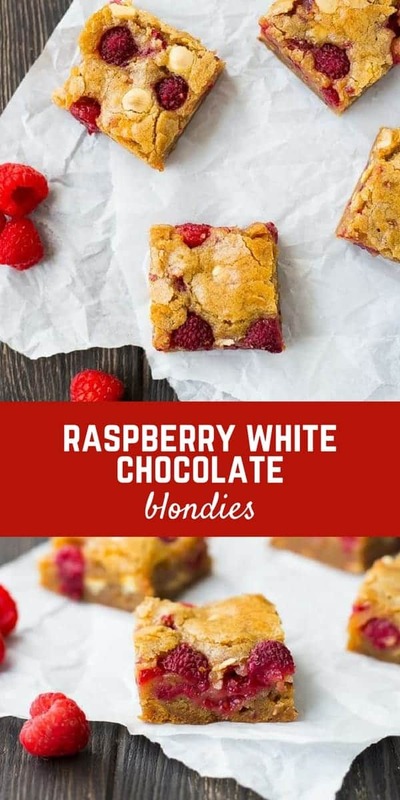 Stir in half of raspberries, and all but a tablespoon or two of white chocolate chips. Spread batter into prepared pan. 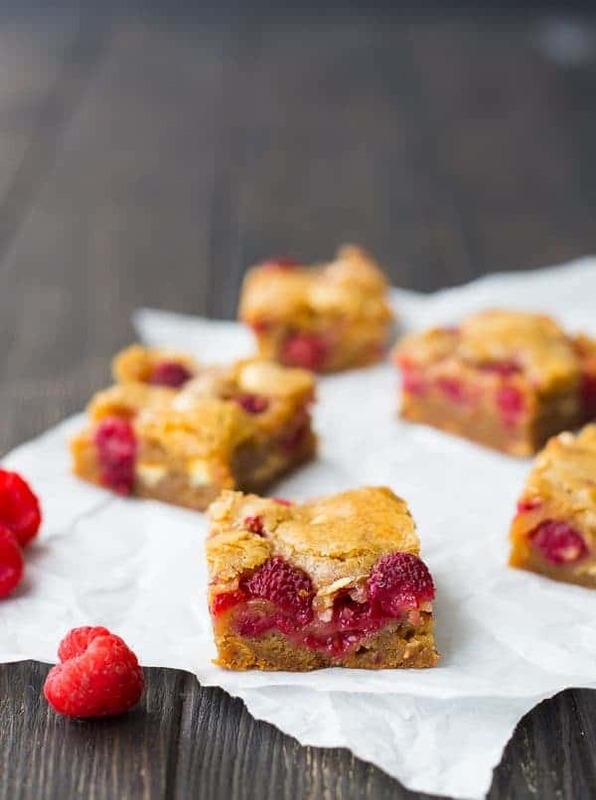 Sprinkle top with remaining raspberries and white chocolate chips. Bake for 30 to 35 minutes or until a toothpick inserted in the middle comes out with moist crumbs. The blondies will be slightly browned around the edges. Cool for at least 20 minutes in the pan before lifting the blondies out by the parchment paper. Set on a wire rack to finish cooling before slicing and storing in an airtight container. I recommend storing in the fridge if storing for more than 1 day. Verdict: I loved these, maybe even more than the original chocolate chip! 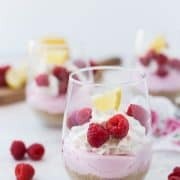 I’m slowly losing my sweet tooth so I love the tartness that the raspberries add. Husband’s take: Ben is a traditionalist so he definitely loves the chocolate chip version better. But he had no problems eating these either!